Spring time in Rome means a great opportunity to go outdoors and explore every Roman corners. Aside from popular open air piazzas, there are other beautiful places to relax and enjoy the pleasure of life. One of the appealing places is Villa Borghese, the English landscape garden that serves to be a famous tourist destination to experience a bit of culture and a fresh breeze. Villa Borghese is a small forested city featured with some restaurants and museums. Aside from this Roman’s prestigious park, the following are more must-see parks that you should not missed in Italy. 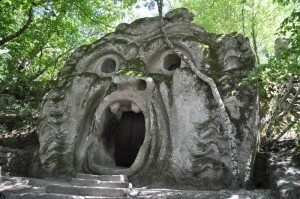 The park of the monsters in Bomarzo is considered to be the most distinct and extraordinary accomplishment of Pirro Ligorio, a 16th century landscape designer. The park is created with enormous sculptures that are carved straight from the bedrock. It is a real redirection from ancient and conventional form. The Appian Way Park with an area of 8,000 acres is dubbed as the most historic place in Rome. The historic park is situated around the Rome’s most ancient road, the Via Appa. Park’s historic sites include Aqueduct Park where you can see over 100 arches of two of ancient Roman aqueducts. Meanwhile, hundreds of underground Christian burial places and some historic figures can be found in the catacomb of San Callisto. Rome’s Rose Garden houses more than a thousand of different kinds of roses from across the global. The garden is situated on an ancient temple made for Flora who is known as the goddess of springtime and flowers. Experience one of the most magnificent views of the city in The Orange Garden that can be found on the historic Aventine Hill. From the garden filled by bitter orange trees, you can see the upper view of the Victor Emmanuel monument, St. Peter’s dome and the river of Tiber that flows through all parts of city’s historic center. Sign up to receive special fares, promotional offers, and news. © Copyright 2019. Josh Zuker. All Rights Reserved. Josh Zuker and his team are here to support you and help create the most memorable and effective corporate or leisure travel experience you have ever had.